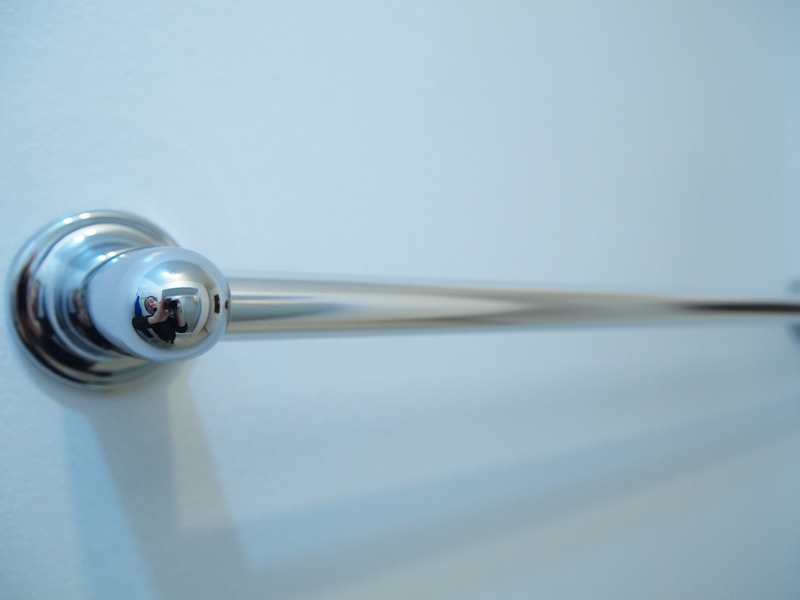 ...help, I'm trapped in a towel rod! This photo was taken with my new Olympus EP-1, which I bought on sale in preparation for a bicycle trip to Banff. I needed something that takes good photos but doesn't require its own pannier. This photo is unedited (besides resize), and represents my goofing off while learning the camera settings (in my bathroom).